Established in 1990, Riverbend Therapeutic Massage, LLC is the result of Barbara Higbie Nelms’ commitment to improving the health and lives of thousands of people via therapeutic massage and other forms of alternative healthcare. Because of her own positive experience as a receiver of massage and other forms of body work, Barbara eventually chose to give up a lucrative career in the insurance and banking industries in the late ‘80’s to become a solo entrepreneur in a business that promised to clearly and directly make the world a better place. This meant going back to school while raising small children, caring for aging parents, working full-time and “entertaining” mid-life crisis! No wonder she was attracted to the peaceful symbolism of the river. Contemplating her future leap from corporate life into the kindly world of therapeutic massage as she was crossing the Connecticut River one evening, she found herself gazing at the water thinking, “Life is like this river, Barbara, and you’ll never know what’s around the bend unless you jump in and go with the flow”. And that’s how Riverbend got its name. Months later, serendipity took over and she stumbled upon what eventually became her first office space…right on the banks of the Hockanum River! For many years life was good on the river. 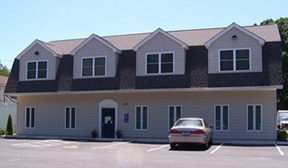 But, as the Bible says, we’re all “subject to time and unforeseen occurrence” and after 16 years she had to find a new home for Riverbend and all the therapists who had come to work with her as Riverbend expanded. 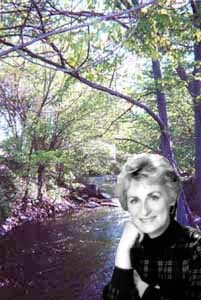 Although she’s left the Hockanum behind, Barbara has definitely carried the spirit of the “peaceful place beside the river” to her current location just over the Manchester/South Windsor line in the Rosewood building at 435 Buckland Road. There, tranquility still reigns for as many as three generations of the same families who’ve been calling Riverbend “home away from home” since 1990. Unlike a sterile, medical-type office or a “posh”, impersonal spa, Riverbend has a simple yet special ambience that gently whispers “Welcome home”, as soon as you open the door. For many it continues to be a refuge from the noise, hectic pace and relentless demands of a world that forces many of us to live life in the fast lane.